Traditional Fully Upholstered Bentwood Stool – Model 339 – Restaurant Chairs by M. Deitz and Sons, Inc. 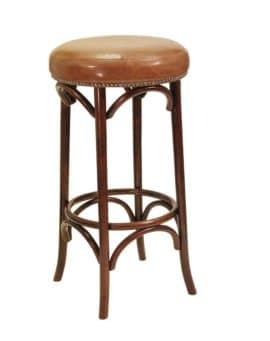 The M. Deitz & Sons fully upholstered bistro stool offers a unique alternative to the bentwood classics. 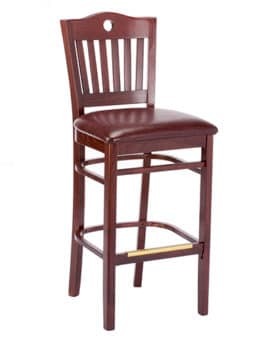 With a twist on the iconic bentwood design, the entire backrest of this stool is fully upholstered and finished with head-to-head decorative nail trim up the side and across the top of the backrest. 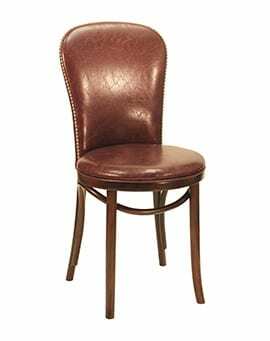 The hairpin shape of the stool back can be covered in the upholstery of your choice ranging from a variety of fabrics to faux leather. 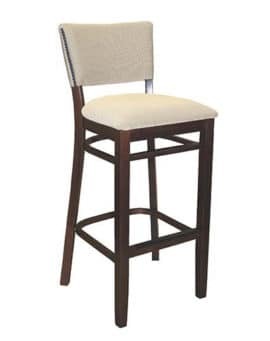 This commercial grade stool is available with a standard upholstered seat or a seat with additional nail trim around the perimeter. 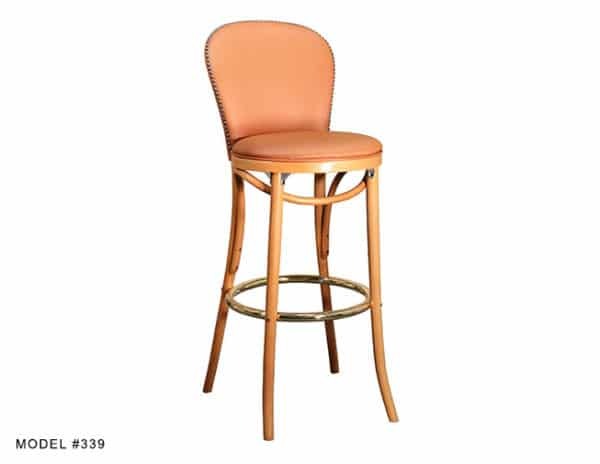 The solid bentwood construction of this upholstered stool gives it a stylish, vintage look with the strength and integrity to hold up in any restaurant or bar setting. 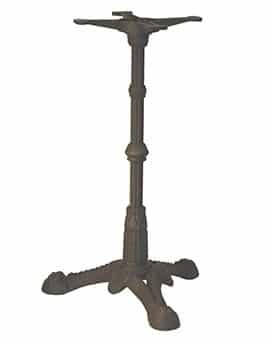 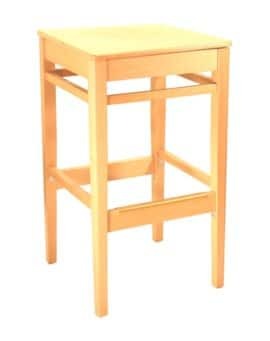 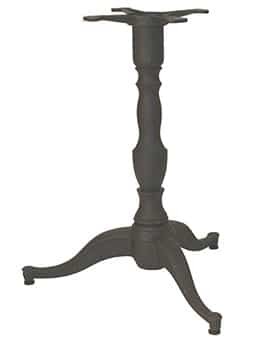 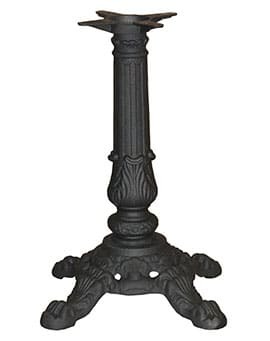 The stool has a brass plated metal foot ring that is bolted on for additional support. 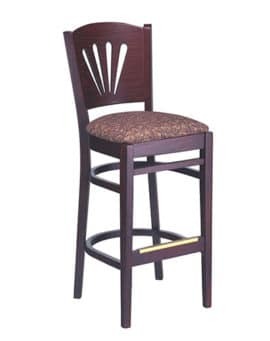 The wood frames are available in a variety of finishes including walnut, natural, mahogany and black. 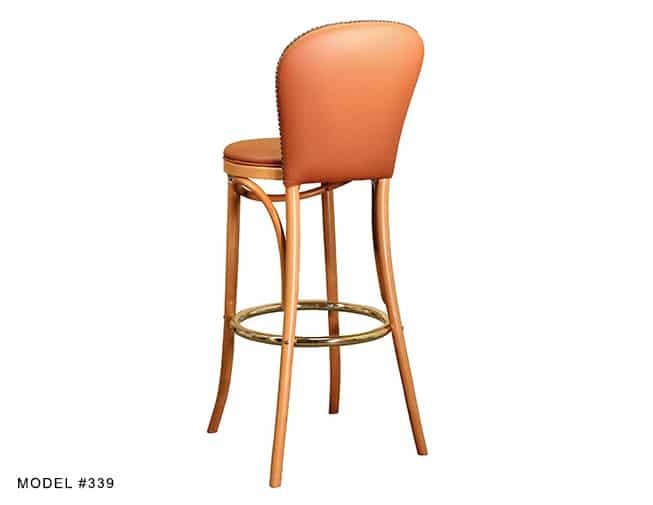 Matching chairs and backless bar stools are also available. 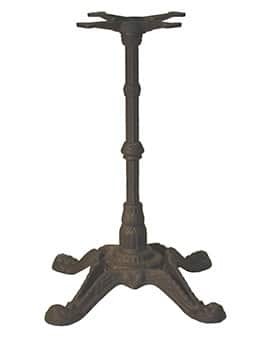 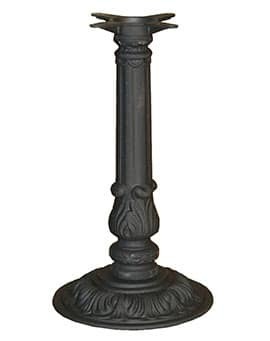 This is a great restaurant seat to compliment a vintage, transitional or artistic interior restaurant design.